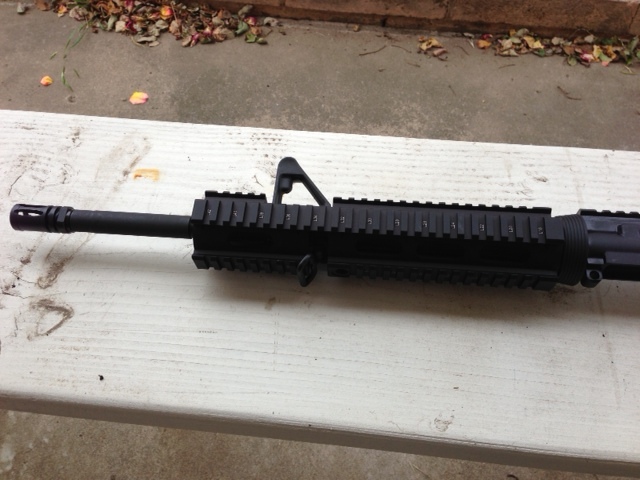 This is still work in progress, but my AR15 M4 Carbine build is coming along nicely. I've been getting the parts little by little. Total cost so far: about $500. I just received my new extended quadrail for the forearm handguard today, I'd say it looks pretty sweet. 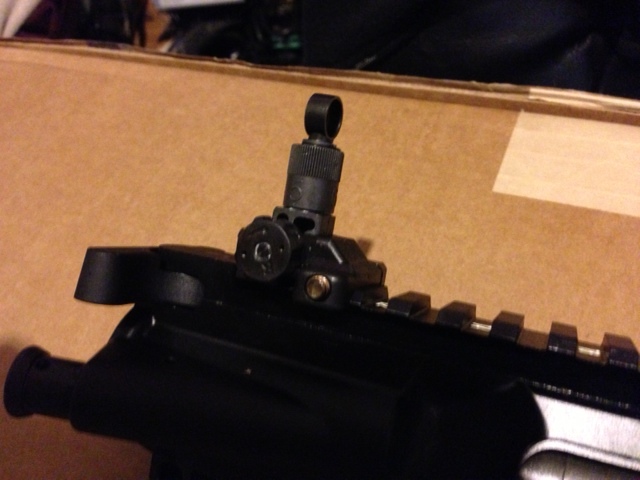 I also have a Black collapsable stock, black hand grip w/ LPK (Lower Parts Kit). Just waiting to get the Lower receiver in the next 2-3 weeks and then I can put everything together. I finished my AR15 today. Super stoked. 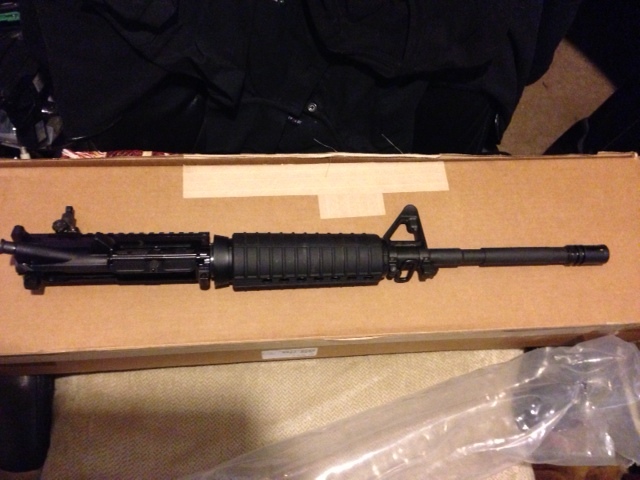 I'm still going to add an EOTECH Scope, but gotta save up for it. The one I want is gonna cost me about $600 bones. :\ I pretty much put everything together on my own, with Hammer overseeing the process. Had a couple of detents and springs go flying, but luckily we were able to recover the escaped parts. Here is a pic I took right after completing the build. 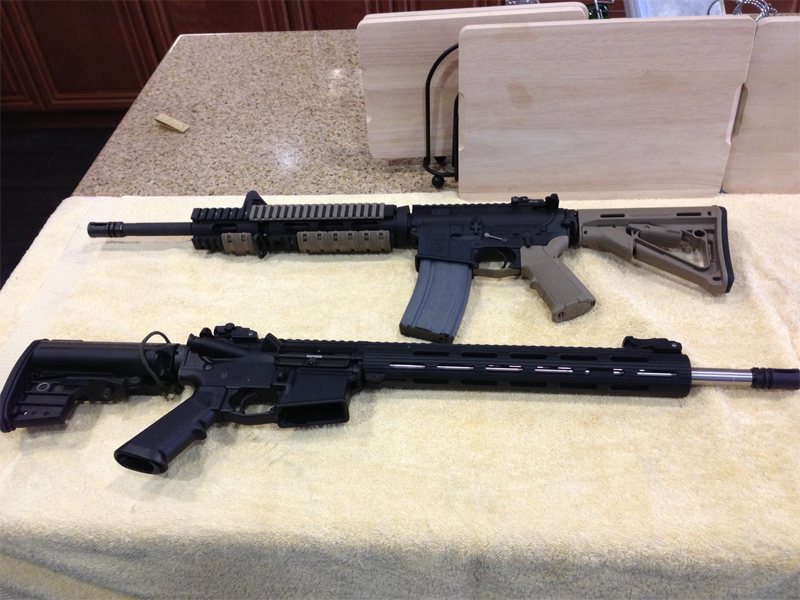 Mine is the top rifle, and the bottom one is Hammer's. I plan on taking some more detailed pics, so I will post them once I'm done.